13% of adults in Alaska have served in the military or other uniformed services, making Alaska the state with the highest proportion of residents who are veterans. 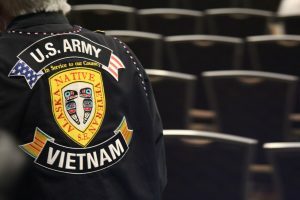 What are the health needs of Alaska’s veterans? What services are provided by the Veterans’ Administration? Line One co-host Dr. Jay Butler discusses these questions with a panel of guests on the next Line One- Your Health Connection. You can contact the Office of Veteran’s Affairs locally by calling 907-334-0874, or sending an email to alaska.veterans@alaska.gov. The post Veterans’ health appeared first on Alaska Public Media. 297 episodes available. A new episode about every 7 days .